An Elsevier press release said the company regretted the “unacceptable practice” of its Australian office. The scandal evoked a flurry of news stories and then it disappeared. Elsevier never revealed the sum they received from Merck or the names of the other pharmaceutical firms that had bought fake science from them. There was no penalty. And there was no authority or oversight agency willing or able to keep Elsevier from doing it, or something similar, again. Fast forward to 2019. There was no doubt by any party in the email exchange between Elsevier’s editors and Lluís Luján, the professor of veterinary pathology at the University of Zaragoza, Spain, and lead author of the “controversial” sheep study, that this was highly unusual publishing practice. Luján was obviously livid with a request that he withdraw his own study which had already been peer-reviewed and published online by Elsevier’s journal Pharmacological Research. He flatly refused. It’s hard to imagine a scientist who believes in the integrity of his research doing otherwise. “Withdrawn,” unlike what Pordon tried to claim, is virtually synonymous with “retracted” in the science world and everybody knows it. It is a death sentence for a paper. Pharmacological Research’s editor-in-chief, Emilio Clementi, a professor of pharmacology at the University of Milan presented Luján with “concerns from the readership” – a list of accusations of flaws with his methodology to respond to. Later in correspondence, “concerns from the readership” morphed into “a signed note of concern from a reader” but the letter writer’s identity was kept secret – a big red flag that something foul was afoot. Ordinarily, if someone has objections to the methodology in a published science paper, they send a letter to the editors. It is difficult to think of any circumstance that the identity of the letter-writer would be hidden. The only reason someone might want to hide their identity is if they had a conflict of interest – like, they worked promoting a relevant pharmaceutical, for example. In any case, letters to the editors are posted on “Letters to the Editors” pages and rebutted by authors there. That was not all that was strange, however. Luján answered all the accusations, noting that they were based on flawed assumptions and appeared to be deliberately “misleading” and “spurious.” They seemed to have been written by someone with very little knowledge of veterinary research or methodology of behavioural science research. Clearly defeated on that front, Clementi decided that Luján would have to re-present all of his raw data to the journal’s statistical editor, Elia Biganzoli as well. In his emails, Biganzoli remarked, revealingly, that the work focused on a “very delicate issue in science” with many “controversial aspects.” He cited a review paper by a self-described “vaccine activist” and pharmaceutically-funded researcher, David Hawkes as being absent from the citations on the list. Hardly a crime. Scientists cite the papers they see as valuable and relevant. Excluding an outlying opinion review paper which contains no original science is not irregular. Besides, Biganzoli said, “the exploratory nature of the paper is implicit” and the researchers themselves said so in the paper. Clementi and Pordon must not have liked this. They ignored their own expert, stamped the paper “WITHDRAWN” anyway and scrubbed it from the print publishing line-up. They must have known they were breaking understood rules of science publishing, the Committee on Publishing Ethics (COPE) and Elsevier’s own code of ethics. Did they consider if they were setting a dangerous publishing precedent? Or if they were denigrating science– the pursuit of truth, wherever the trail leads, and whomever it offends? Stalin-style science censorship should make people, particularly scientists, curious. Just what did the sheep study find? Why would a small veterinary study have sparked such attention – and denunciation? How could a mainstream science journal nullify publishing protocols to retract sound science they have already peer-reviewed and published? Who wields such power over scientific publishing? To begin, the study’s lead author, Lluís Luján, could hardly be described as controversial. With 30 years experience in the field of animal pathology, Luján is a sort of Spanish version of a James Herriot country vet — affable, respected by farmers, students and his peers alike. There is not usually much controversy in determining the cause of death of farm animals in northern Spain. Yet Luján stumbled into one of the most controversial arenas of our time more than a decade ago when he was called out to see an oddly-diseased flock in the Aragon region of Spain, where he lives and works. After the first cold snap of the winter of 2007, Luján arrived at a sheep farm not far from his veterinary faculty. The farmer was worried; he had worked among sheep his whole life and he’d never seen or heard of anything like this. Initially, just a few animals in his flock were affected, starting about six years earlier. A number of veterinarians had come to see his sheep already and they had seen pockets of this on other farms, but they had not known what to do. The sheep had mostly recovered by spring or summer in the past, but this was the worst the farmer had seen. Now almost all of his flock was affected. As soon as he saw the animals, Luján could see that the sheep were ill. They were emaciated and their raw, pink skin showed where great patches of wool were missing from their flanks. This was a sure sign they were wool biting, obsessively yanking the wool from their flock mates and chomping it. Wool biting is well-documented as a behavioural anomaly in veterinary journals but it is not well understood. It has been studied in relation to overcrowded conditions, animal “boredom” and nutritional deficiencies, but none of these factors had adequately explained the phenomenon and they certainly weren’t the cause of these severe cases Luján was looking at. These animals were restless and skittish. Some were lethargic and weak. Some had tremors and could barely stand. As a pathologist and an academic, Luján was familiar with sheep disease but this was nothing he could easily diagnose. He began testing to rule out the usual culprits: pathogens like viruses, bacteria and parasites. He wondered about an environmental toxin, too, so he tested the animals’ water, their food, the soil they grazed on. In the meantime, he did what he could to alleviate the symptoms. He changed their diets and some management practises and had them vaccinated again. The test results were unrevealing. Luján recommended that the animals be put down as a precautionary measure. The government would compensate the farmer and give him new sheep. About two years later in 2009, Lujan was in his office when the fax machine hummed and a government animal health authority bulletin announced a round of bluetongue vaccination for the region. There was nothing remarkable in this. Bluetongue is a noncontagious, viral disease transmitted by midges to ruminants. It causes fever and swelling of the mouth and gums as well as a tell-tale protruding cyanotic tongue. A virulent strain can kill a third of a flock and it had re-emerged in northern Europe in 2006 and spread throughout Belgium, Germany, the UK and Spain by 2007 and 2008. The European Union was responding with the widest vaccination campaign in ovine history, targeting about 90 million animals throughout the continent with a total of four vaccines and boosters against two strains of the virus in less than a month. Over the next few weeks, Luján’s phone began to ring. Farmers from all over the region were reporting outbreaks and bizarre disease symptoms that he had seen before. Some of them were linking it directly to the recent bluetongue vaccines. The mystery illness was sweeping across Spain. Initially, just a few sheep were ill. They became agitated and nervous. They were wool biting. Some clenched their teeth. Some became lethargic and reluctant to move. It was easy to see involuntary tremors of their great brown eyeballs. A few were transiently blind. They were disoriented and unresponsive. After a few days, most of the animals recovered but the most severely affected of the flock collapsed in seizures and died. When the weather turned cold, a second wave of the illness affected thousands of sheep, sometimes wiping out entire flocks. These animals lost weight and looked emaciated. They had muscle tremors and weakness. Some had a light but constant tilt to their heads. Farmers reported pregnant ewes aborting spontaneously. Thousands of animals were stuporous. Many became unresponsive, dropped to their front quarters, become comatose and died. Veterinarians began vigorously investigating the baffling disease that was decimating the Spanish sheep industry. Luján was not surprised that, despite their tremendous efforts, their tests were coming up empty-handed. He had done them all before himself, on the sheep “Auschwitz” farm. He began poring over journals on Pubmed and one evening, he found a description of what he was seeing in the sheep in a human immunology journal describing a condition called ASIA – Autoimmune/Inflammatory Syndrome Induced by Adjuvants. Aluminum adjuvants used in human vaccines — and like that used in the bluetongue sheep vaccine — were known to elicit a hyperactive immune response in some people, and to set off immune system cascades that could later manifest as overt autoimmune disease. The aluminum ingredient in vaccines was connected to diseases such as encephalitis, macrophagic myofasciitis and Gulf War Illness. 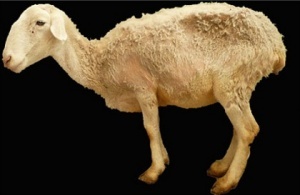 The Spanish sheep disease sounded very similar to this post-vaccination disease described in humans. 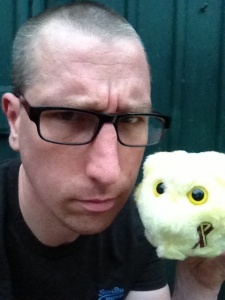 It was after 1 am and Luján shot an email off to the author, immunologist Yehuda Shoenfeld, director of the Zabludowicz Center for Autoimmune Diseases associated with Tel Aviv University, a giant in the field of autoimmune disease with more than 1,500 published papers in immunology, and he hoped he might hear from him eventually. The next morning, to his surprise, Shoenfeld had already replied. Bizarre behavioural changes. The third and final study, the one which Elsevier suddenly withdrew after publication from Pharmacological Research, described the behavioural changes observed in the vaccinated and aluminum-only animals compared to the controls. 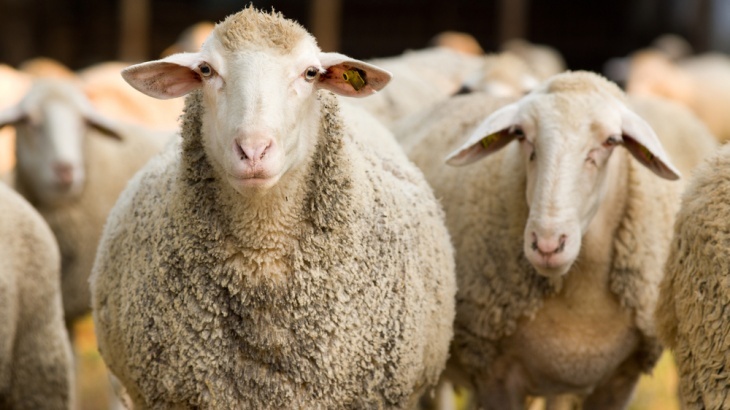 After just seven inoculations, the vaccinated and aluminum -adjuvant targeted animals only, began compulsive wool biting – the behaviour that has perplexed and annoyed farmers but was also very apparent in the ovine ASIA syndrome. None of the adjuvant-only or controls, housed in identical conditions, exhibited the bizarre behaviour. The breed of sheep used, Rasa Aragonesa, is a particularly gregarious breed not inclined to solitude, so when animals began seeking isolation it was readily noticed by the researchers. So were bizarre behaviours like rubbing repeatedly against fences and biting flock mates. It’s interesting that the “withdrawal” of the three other ASIA studies were just as baffling as the current sheep study saga. It’s also interesting that Hawkes’ co-author, Rohan Ameratunga was himself commissioned by the New Zealand government to “review the existence of ASIA” for payment. Was this the kind of “independent” review they wanted? Ameratunga declared his conflict of interest on the paper as a practising allergy specialist who prescribes aluminium-containing injections – themselves suspect in literature for inducing ASIA syndrome. Ghost Ship Media emailed David Hawkes to ask him if he wrote the letter as was suggested in the correspondence between the editors and researcher. He didn’t reply. Pordon and Clementi declined to comment as well. Of course, given its past financial dealings with the company, maybe the letter was from a friend at Merck . “Scientists should boycott Elsevier,” he says. ALUMINUM, ANXIETY, ASIA SYNDROME, AUTOIMMUNITY, CENSORSHIP, HPV VACCINE, MENTAL HEALTH, OUTBREAKS, VACCINES aluminum, aluminum adjuvant, anxiety, ASIA syndrome, autoimmune disease, inflammation, science censorship, sheep study, vaccines. permalink.